You have already visited Bansko’s places of interest, you have enjoyed its attractions and you would like to walk around the region to learn more about places of interest in South-eastern Bulgaria. This part of the country has something to offer in terms of nature and historical and cultural places of interest, as well. But the biggest attractions are the monasteries in the area. In case you have time and you’re interested, you might spend some part of your Bansko holiday for visiting South-eastern Bulgarian monasteries. Apart from being the most famous and most visited monastery in the whole country, Rila Monastery is the biggest holy site in Bulgaria, too. It was found in the 10th century and is closely related to the life of Saint Ivan Rilski who moved to the place to live in seclusion. The monastery was first built elsewhere but it was rebuilt on its actual place in 1335 by protosebastos Hrelyo. During its long existence the monastery has always been a powerful literary and spiritual centre that protected and preserved Bulgarian identity. Prominent literary figures such as Paisiy Hilendarski and Neofit Rilski worked inside the monastery and Zahari Zograf himself participated in the painting of the church “Nativity” (1343). The monastery offered protection and shelter to many Bulgarian revolutionaries such as Levski, Peyo Yavorov, and Gotse Delchev among others. When you overstep the monastery threshold you are going to discover five-storey monastery building; Hrelyo’s Tower is going to impress you while “Nativity” church is going to fill you with humbleness. How to reach Rila Monastery St. Ivan Rilski from Bansko? The distance between Bansko and the monastery is 94 km and it is an hour drive. It is not complicated to reach the monastery, you just have to follow the road from Sofia to Kulata and take the turn-off towards Kocherinovo. There is a single road that will lead you directly to the monastery gate. Although the road has asphalt and is in a proper condition, it is narrow and full of turns so be careful. 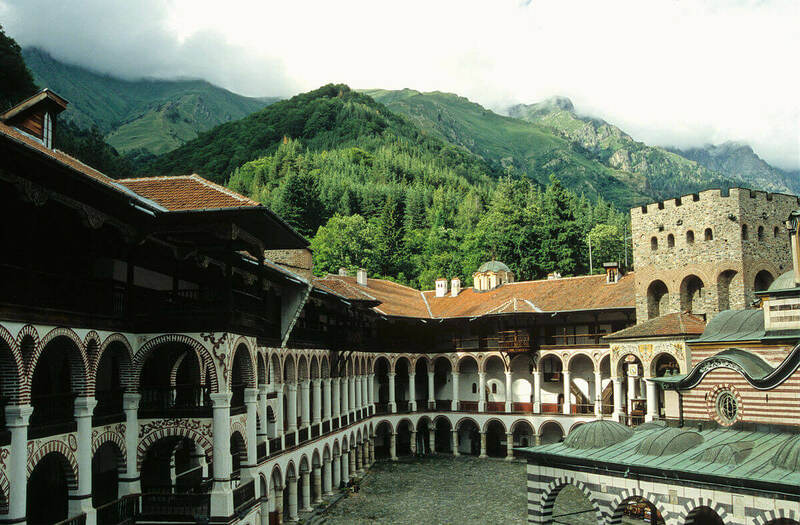 Rila Monastery Saint Ivan Rilski is one of the One Hundred National Places of Interest and it is included in UNESCO heritage list, as well. If you haven’t had the chance to visit the Rozhen Monastery yet, you ought to do it during your holidays in a Bansko hotel. Situated cosy in the foothills of Pirin Mountain, few kilometres away from the town of Melnik, this monastery shall surprise you for sure. There is no certain information about the time it was founded but there is data about its existence from the 13th century. According to a manuscript from 1551, the holy site has been severely destroyed but it was reconstructed in the 16th century. The main church, some of the living buildings and the canteen are dated from the same period. In the 18th century more buildings were reconstructed and the internal decoration of the main church was completed (in 1732). During the Ottoman rule the holy site was converted into a metochion and after resolving a dispute on property rights it was definitely declared a belonging of the Bulgarian Orthodox church in 1912. The monastery is active and is open for visits all year long. How to reach Rozhen Monastery “Nativity of the Virgin”? The distance from Bansko to the holy site is 110 km and the ride duration is approximately an hour and a half. You can reach the monastery taking the road from Melnik to the village of Rozhen. There is an asphalt road of several kilometres from the village that takes you straight to the holy site. You can make your trip even more pleasant and memorable if you also plan some sightseeing around since places of interest are close to each other. The best option is to leave your hotel in Bansko earlier and to visit the area of Rupite first. It is not only an extremely beautiful area but it also shelters the house of Vanga and “Saint Petka Balgarska” church built by her. Next stop is the beautiful town of Melnik which shall welcome you with its opulent wine and its beautiful old houses. 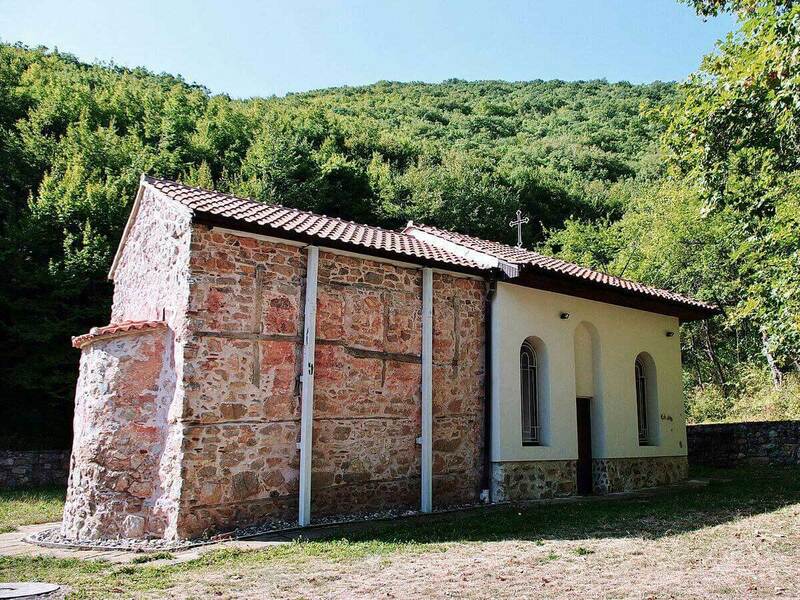 On your way back from the Rozhen Monastery you can stop in the village of Zlatolist where the church of the prophet Prepodobna Stoyna can be visited. The monastery was founded during the Second Kingdom of Bulgaria and has been an important literary and spiritual centre for long time. The monk route of St. Ivan Rilski started from this holy site which was initially called Ruen Monastery. The monastery was first built next to the village of Skrino but it was completely destroyed during the Ottoman rule. It is reconstructed during the reign of sultan Bayazid the Second not where it originally was but where it actually is, next to the village of Boboshevo. Before the Liberation of Bulgaria the Monastery of Boboshevo was an important spiritual and literary centre and it was the richest monastery in the country, as well. After the Liberation it was continuously losing importance and resources and all the buildings except for the church were destroyed. What stays until today from the entire holy site is only the small single-nave church that reminds of the rich and huge active monastery that used to be there. 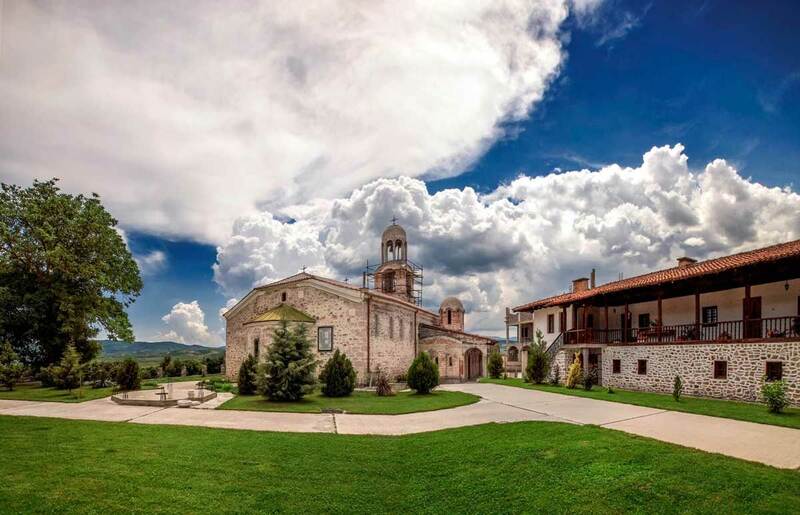 The monastery site is situated 75 km away from the town of Bansko and about 4 km away from Boboshevo. When you enter the village, find and follow the signs. There is a decent road for visitors by car or on foot. The Monastery of Gorna Breznitsa is not an ancient one. It was built in 1992 to replace an old monastery which was completely destroyed during the Ottoman rule. However, it is an active convent consisting of monastery part, yard, belfry and a small church. The Monastery of Gorna Breznitsa is located 65 km away from Bansko and you would need about an hour to reach it. The holy site is situated in the low parts of Malеshevska Mountain, about 5 km from Kresna and very close to the village of Gorna Breznitsa. There is a decent road leading to the holy site so it is easy to reach. The area around the convent is fabulous and the air is very healthy. 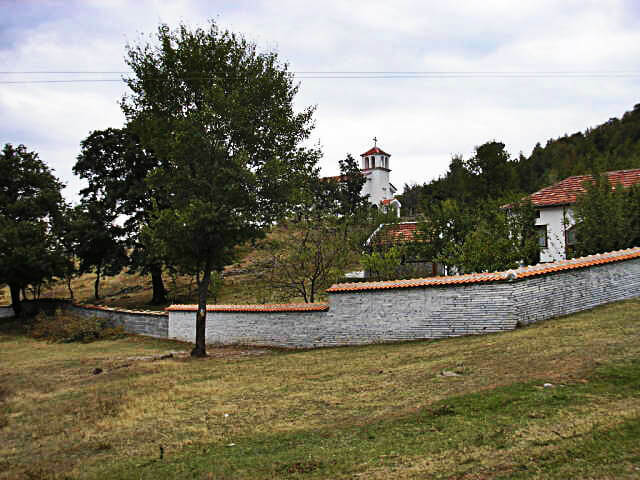 The monastery is near the village of Skrino, the home place of St. Ivan Rilski. Similar to the Monastery of Gorna Breznitsa, the Ruen Monastery is built in a place where an old monastery was located once. 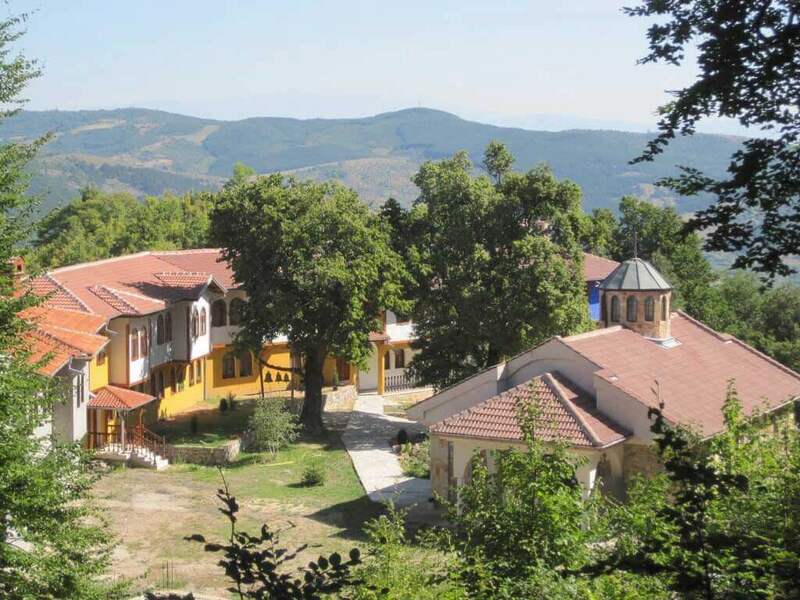 In 1995 Bulgarian patriots started building the new monastery which was inaugurated in 2002. Useful information in case you decide to visit the holy site is that monks follow the seclusion on Mondays, Wednesdays and Fridays, so no visitors are allowed. However, if you visit the monastery on a holiday or during the weekend you can hear the chorus of monks that accompanies the holy mass. You can also try jam and Turkish delight produced by the monks or just enjoy the silence and the calm surroundings of the monastery. After visiting the monastery, there is an option for adventurers to go hiking along any of the paths that originate from the monastery and lead to the areas Svetena voda, “Krasta” or the cave where St. Ivan Rilski started his eremite route. You can reach the village of Skrino in about an hour or an hour and a half. The distance from Bansko is 82 km but the road is good so you shouldn’t experience any troubles. You can also stop and visit Blagoevgrad on your way to the monastery. 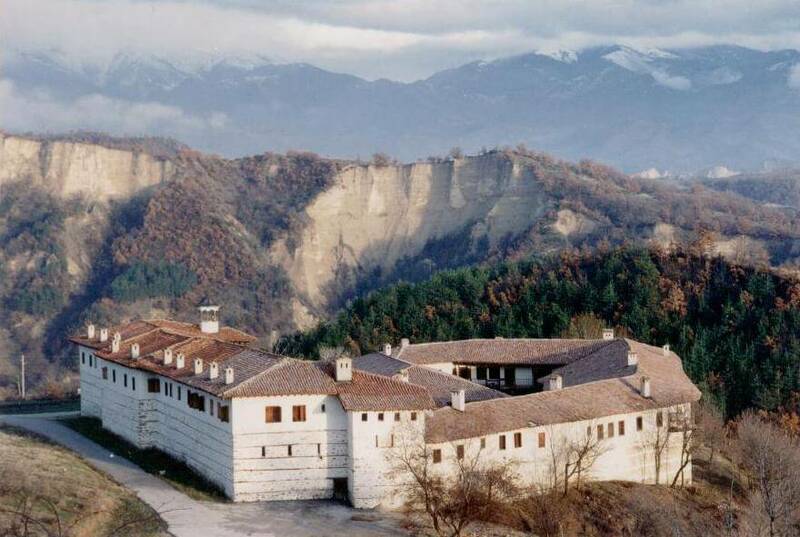 The Monastery of Sandanski is located in the picturesque area of Smilovo, about 2.5 km away from Sandanski. According to archaeological data, there was an Early Christian monastery in the same place where the actual holy site is. The healer brothers Kozma and Damyan who healed people next to Miroto – still existing spring – lived there. It is known that the old monastery existed in the Middle Ages until the fall of the Bulgarian Kingdom under Ottoman rule, when the monastery was completely destroyed. 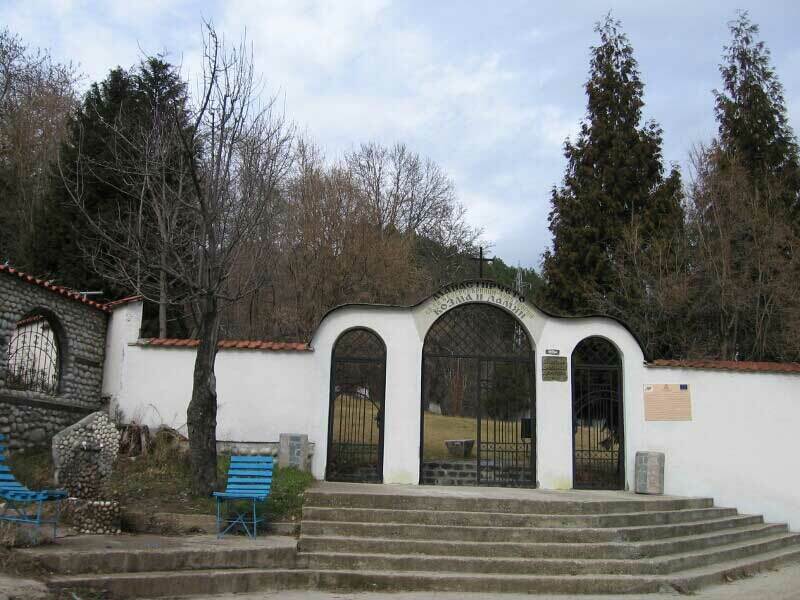 In 1928 citizens of Sveti Vrach (actual Sandanski) started building the present monastery “St. Kozma and St. Damyan”. The monastery is active but there are no monks at present. The distance Bansko-Sandanski is 88 km and takes about an hour and a half. Upon visiting the monastery you can also take advantage of the opportunity to take a walk around the town of Sandanski and visit the amazing town park. The holy site is located next to Hadzhidimovo and 12 km away from the town of Gotse Delchev. It is built on a hill above Hadzhidimovo on a spot where an old Christian sanctuary of St. Georgi Pobedonosets was situated. During the Ottoman rule the sanctuary was damaged and burned several times until being completely abandoned. However, in 1865 the monastery was built on the spot of the sanctuary and has been there ever since. According to a legend, a young man on a white horse appeared to a shepherd from the village and told him to go to the place where the sanctuary was and to start digging the hillock. The young man appeared in the dreams of the shepherd several nights in a row so he started digging despite the problems with Ottomans. A while later he built a small chapel that only lasted for several years. And that is only the beginning of the story of the Monastery of Hadzhidimovo “St. Georgi Pobedonosets”. An interesting fact is that upon digging the hill, an icon was found and it was never taken out, not even after the building of the monastery was completed. As late as 1965 the icon was dated and it turned out it was created in the period 1750 – 1800. The icon is now exposed for worshiping in this holy site and it’s accessible. You need about an hour to reach the monastery “St. Georgi Pobedonosets” and on your way back you can stop for a coffee in the town of Gotse Delchev.